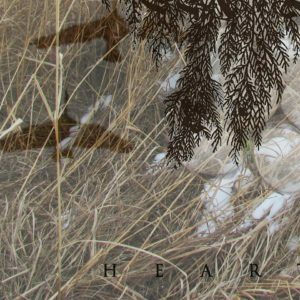 “Heartworn is a concept album based on the ancient ecological rhythms of North American animal migration and its related themes – recorded in the winter of 2015/2016 in an off-grid location in pastoral Minnesota powered with solar electricity and heated only with a wood stove. 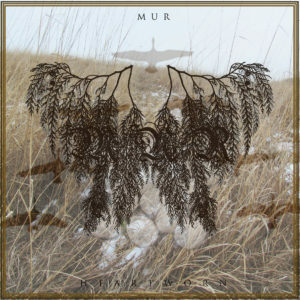 Mur is a band that I admire. 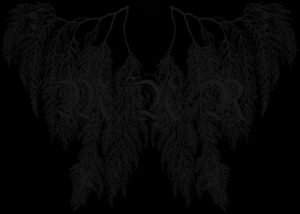 A band that deserves recognition for its creativity and very interesting takes on Black Metal, Folk/ Neo Folk, Americana, Doom, some Drone, all blending in a rich tapestry of musical contrasts that, in the end, work very well. The music created by Mur is not of the easy listening time, the one that you listen to it while having some fun. To be able to fully flavour its tastes, you must pay attention, read the lyrics and be in a calm environment. It does not matter if you want to be in the middle of nature, or in your bedroom, it simply requires your concentration and commitment. Otherwise you will not capture the essence of this beauty that is “Heartworn”. You might think that the whole experience might be boring, if it requires so much attention, but no, it is a wonderful odyssey, complex and captivating, building images of a vast, powerful and strong nature landscape, an immense forest, and all hardships of fighting, or better, living with nature elements. Of course, this is a personal, well, not interpretation, but rather, how I feel about the creations you hear in “Heartworn”. 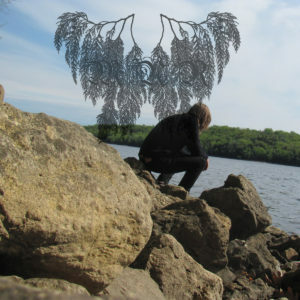 The compositions are truly emotional and energetic, be it when there are acoustic elements or when you have the fast-paced Black Metal inspired parts. All of this might lead you to think that this is “simply another Cascadian Metal band”. Well, the sound is very Cascadian, but it is not like many other bands out there. As I like to point out, this is not a carbon copy of what other musicians are producing. You can truly sense that Mur is very personal, intimate and unique. And original. Sather makes no mistake in blending all these elements in his music. I believe this is not an easy task, but the man managed to reach his goals with an impressive efficiency. In addition, it is hard to explain, each song differ from one another but, at the same time, they all have the same spirit, the same essence. They can be rather melancholic, but also uplifting. “Heartworn” is filled with majestic atmospheric passages, epic harmonies, being gentle and delightful at once and, from out of the blue, the songs turn into a raw, crude interpretation. It is dark, but beautiful and I dare to say, hopeful. That is my interpretation. I felt that there was some sort of positivity in the instrumentation, especially the ending of “Go Beyond The Sea And Still Bring Light To The Underworld (You Overrich Star!)”. It’s truly, truly touching. Glorious, but still calming. It is so much better when you listen to music that is actually honest, sincere, real… I cannot recommend it enough. I urge you all to give it a listen, paying attention to the rich details of this fascinating work.